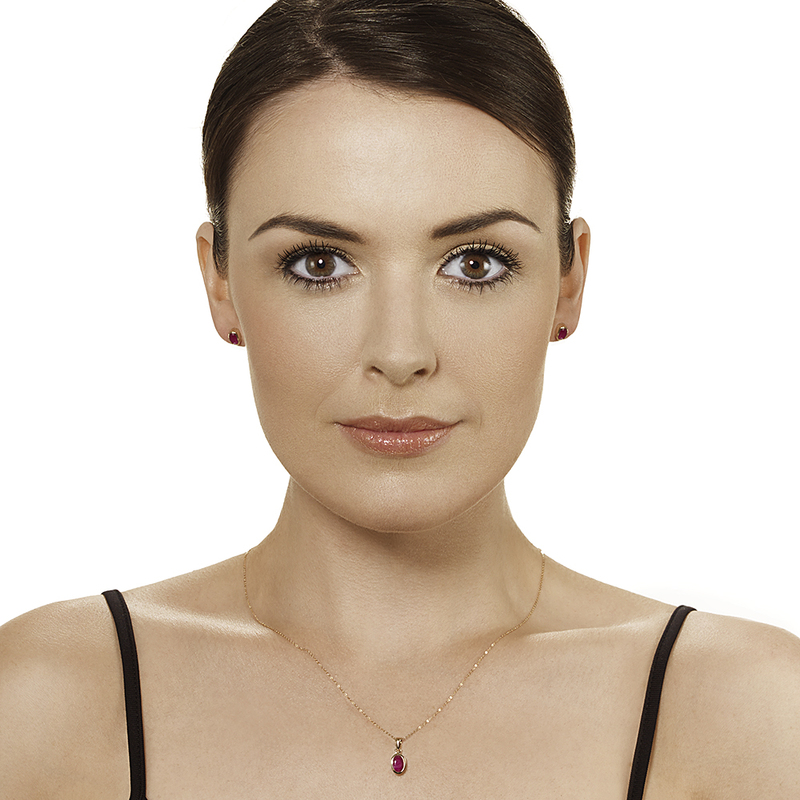 Classy and stylish, this pendant is the perfect addition for any ensemble. 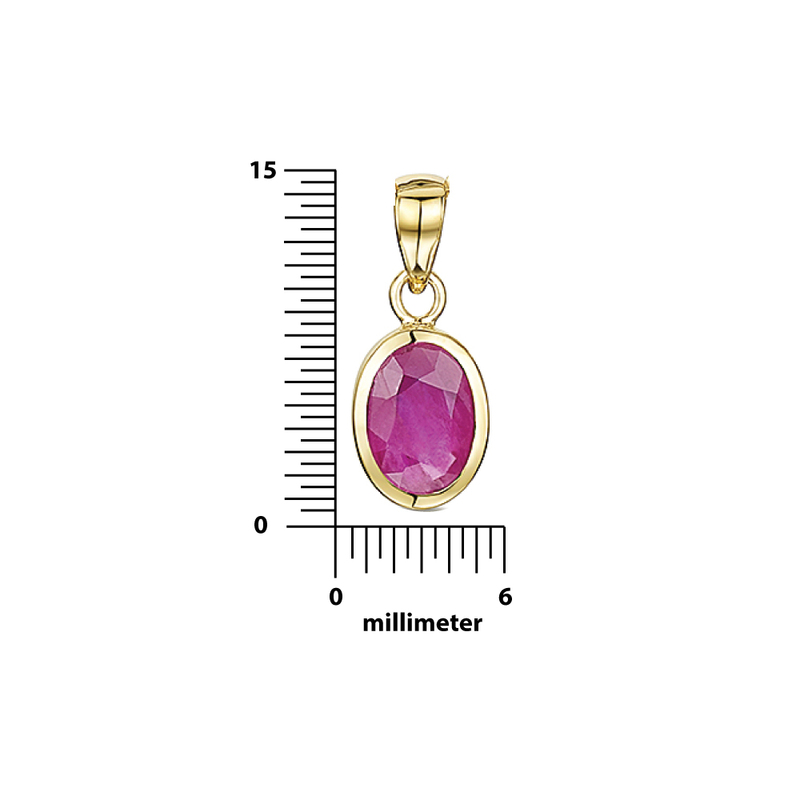 It features a single, oval cut ruby - 7x5mm in size - encased in a rubover setting. 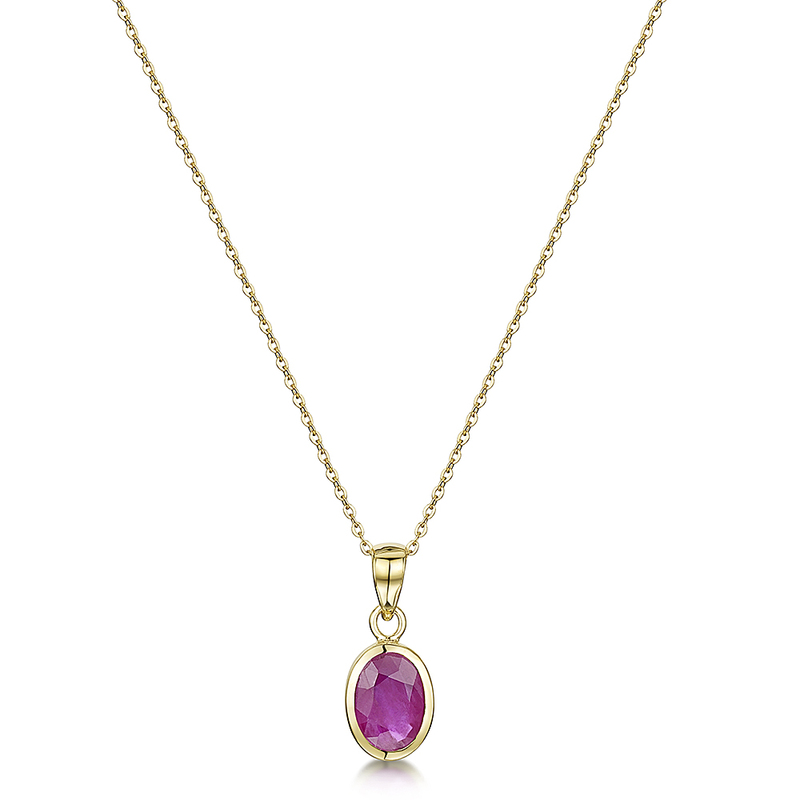 The latter lends the gemstone a sophisticated look; all the while providing it with an extra protective element. The bail has been delicately crafted from the finest of 9ct yellow gold - a metal renowned for the distinctive rich hue it exudes as well as for its ability to withstand impurities such as; rust, tarnish and corrosion. Finally, the product is branded with a full UK hallmark: 375 (= 9 carat) - in accordance with the current Assay demands.